if the technology exists, originally uploaded by aarn! +10th March, 2008+. 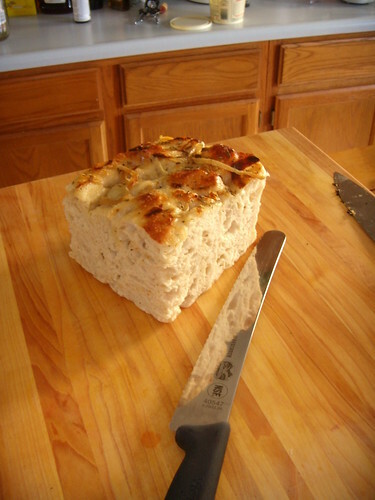 i got this block of iggy's onion focaccia at whole foods for $3.39/lb...it was the most delicious bread i have ever had. my question is: if it is possible to make bread taste this good, why doesn't more bread? does that question make sense? probably not.